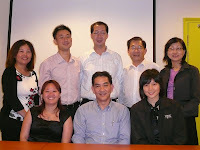 We had our 3rd Annual General Meeting held on 4th Jun 08 (Wed). Reports are given by all the Ex-CO Members in 2007/2008. We also had our normination and election of new Ex-CO members for the new term in 2008/2009.